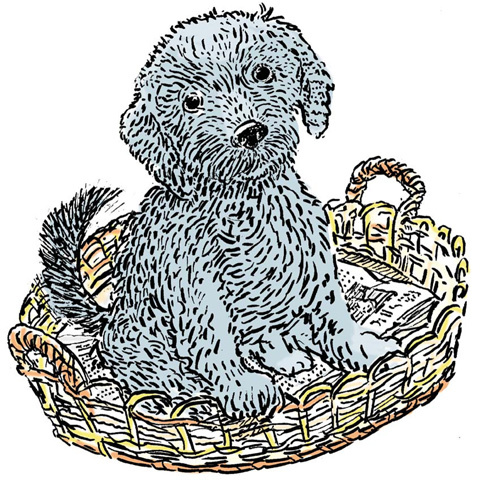 Howard Campbell first told me the story of the real dog Pavlov at Zandunga, a restaurant in Oaxaca, Mexico. Pavlov is a bright and fun-loving dog, who learned a lot through positive psychological reinforcement. Pavlov had belonged to his late brother. 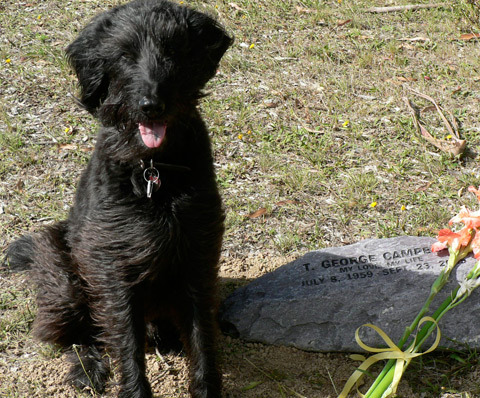 The photo above shows Pavlov at George Campbell’s grave. 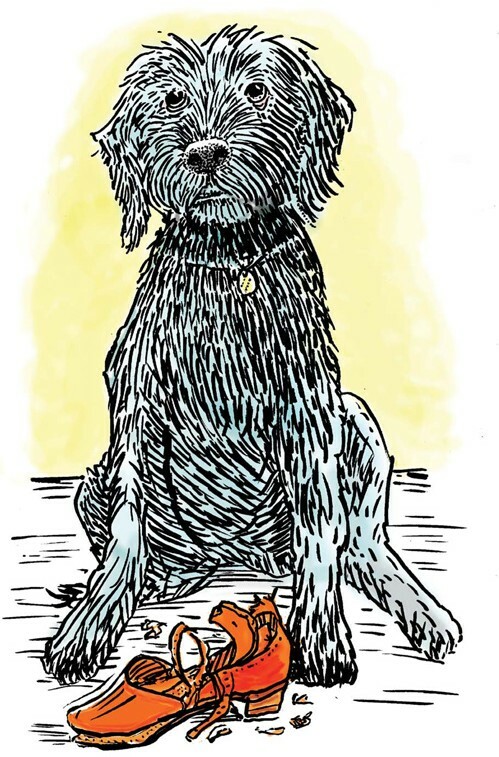 Howard asked me to illustrate a children’s book he wrote about the shaggy hound. Below is how I drew Pavlov based on that one photo. He told an El Paso newspaper writing the drug book was an “arduous process because of the delicacy of the topic and the need to handle it with scientific rigor.” A Dog Named Pavlov, on the other hand, he calls a “labor of love,” a memorial to his brother loosely based on his beloved and energetic dog. For me, it was fun trying to draw Pavlov as he grew from puppy to adult. Technically, I got to try something different. I sketched in ink on paper until I got the right likeness, then scanned the ink drawing. I open the drawing in Photoshop. There is mode in Photoshop called Multiply. Basically, it makes my ink drawing into layer that can be “back-painted.” I used a Wacom tablet rather than a mouse to lay down the color. The end result is much like an animation cel. 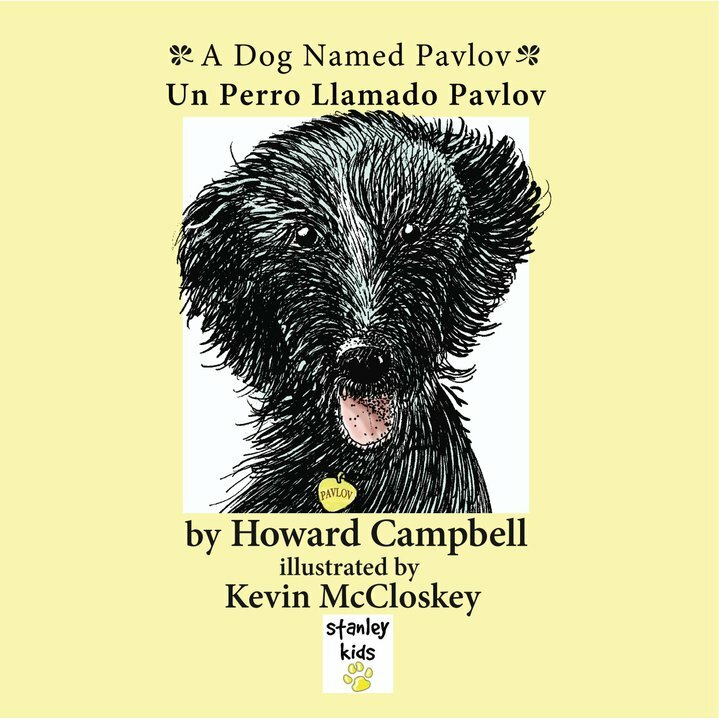 A Dog Named Pavlov, Un Perro Llamado Pavlov, is a bilingual, Spanish and English children’s book published by Stanley Publishing of El Paso, Texas. 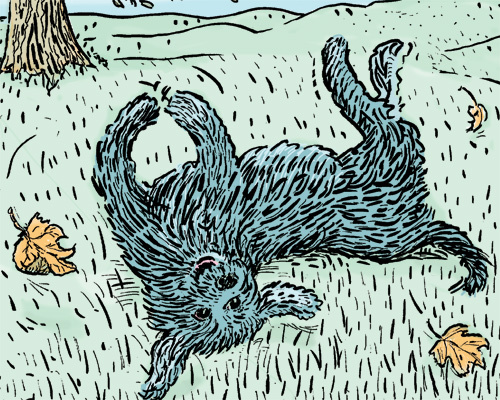 The 44-page paperback tells just a bit about the famed Russian scientist, Pavlov’s namesake, then launches into the story of the shaggy dog’s life. Most bookstores should be able to order a copy in time for Christmas, but the quickest way to get a copy if you’d like one is to order direct from Stanley Publishing though this link. I had not seen a photo of the real Pavlov but now that I have, I think you captured his essence perfectly. I’m so glad that you and Howard collaborated on this project.